Commercial carpeting is expensive, so you’ll always want your investment in a quality carpet to last. Clean carpet fibers always last longer than dirty carpets, and Alamo Steam Team are the experts at commercial carpet cleaning in San Antonio. The Alamo Steam Team can be trusted to treat your home or business like their own and get the job done the right way. 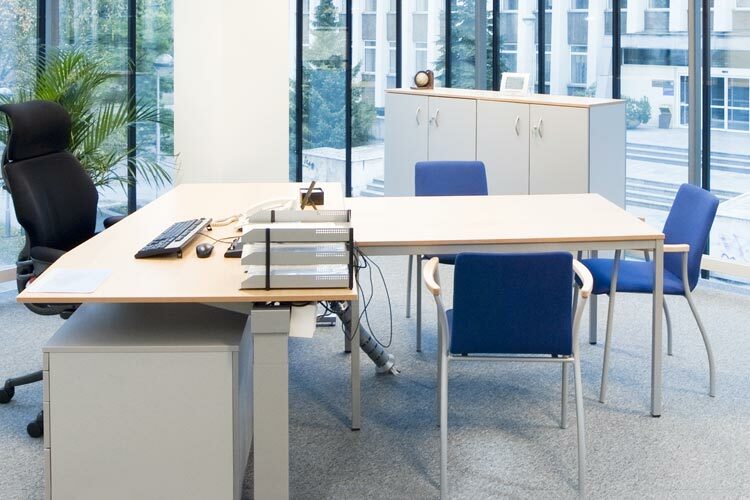 The cleanliness of your office is often the first impression clients have of a company. This is an easily controlled variable when you hire a professional cleaning company. Don’t lose business because your office isn’t presentable to clients. Let Alamo Steam Team handle the dirty work so you can focus on more productive aspects of your business. Commercial carpet work differs from regular residential work because commercial carpets have tremendously higher amounts of traffic than residential ones do. The process is similar: thoroughly vacuum and attack spots and spills, and then use a truck mounted steam system to remove dirt and allergens. Our hot water removal system lifts dirt and stains that other methods can’t even get close to! Our deodorizers leave your carpets smelling fresh until the next scheduled service. Many businesses choose carpeting because it is safer than tile, absorbs more sound, absorbs dirt and debris, and is slip resistant. All of these qualities make it an excellent choice for flooring, but also contribute to how commercial carpets get so dirty. Fortunately, Alamo Steam Team has the equipment and technicians to keep commercial flooring looking great for years to come. We understand that commercial carpet is expensive and needs to be well maintained to increase longevity, reduce allergens, and keep odors at bay. Our San Antonio carpet cleaners have years of experience maintaining commercial carpets. It is important to remember that carpet is the largest air filter in a building. It absorbs more dust, dirt, and airborne pollutants than any other surface in the air control system. Commercial carpet steam cleaning is imperative to restore the color and beauty of the carpets, as well as contribute to cleaner air quality throughout the building. This makes employees safer and happier, as well as promotes a positive and clean work environment. Your commercial carpeting is an investment that should be protected. Get it cleaned by the pros to keep your building looking its best and smelling fresh. Schedule your commercial carpet cleaning appointment with the Alamo Steam Team today to get started!